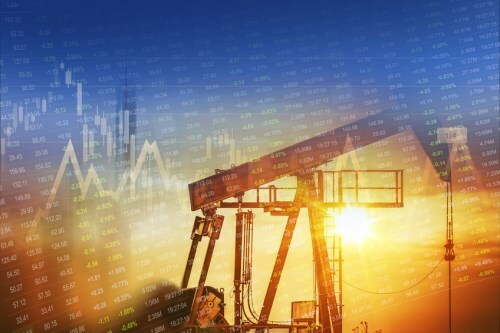 A rise in US oil stockpiles was not enough to slow a rise in prices Wednesday as a weaker greenback combined with comments from Saudi oil producers on the output cap added almost 3 per cent to crude prices. However, energy was not one of the 6 groups of the main TSX index to gain. Utilities and industrials led the rise and the index was overall. Wall Street also gained following Donald Trump’s press conference which included talk of bringing US pharmaceutical firms back into the country. The sector has seen many exits from so-called tax inversions. European and most Asian indexes closed higher before the Trump conference. A proposal to introduce a border adjustment tax in the US would be bad news for Canadian exporters. The Republican Party’s revamp of US tax law looks likely to include a measure which is designed to discourage US firms from ‘off-shoring’ production of items for domestic consumption by scrapping tax deductible imports. The Globe and Mail reports that the measure is included in proposals drafted by House Speaker Paul Ryan and becomes more complicated as components sent from the US for assembly elsewhere would not be taxed.